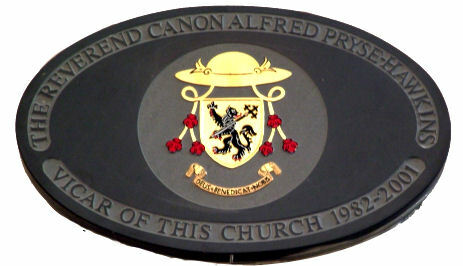 was the Vicar of the Welsh Anglican congregation at St Benet's Pauls Wharf in the City of London. This is also the Chapel of the College of Arms opposite, and Canon Hawkins acted as their Chaplain. In addition he was actively involved in several heraldry societies, including the City of Bath. He retired in 2001 and died in 2002. A full appreciation was published in the Tabard no.14, 2002. Arms: Or, a lion reguardant, armed & langued gules holding aloft in its dexter claw a fleur-de-lys and supporting over its sinister shoulder a pastoral staff in bend sinister headed by a cross flory all sable. 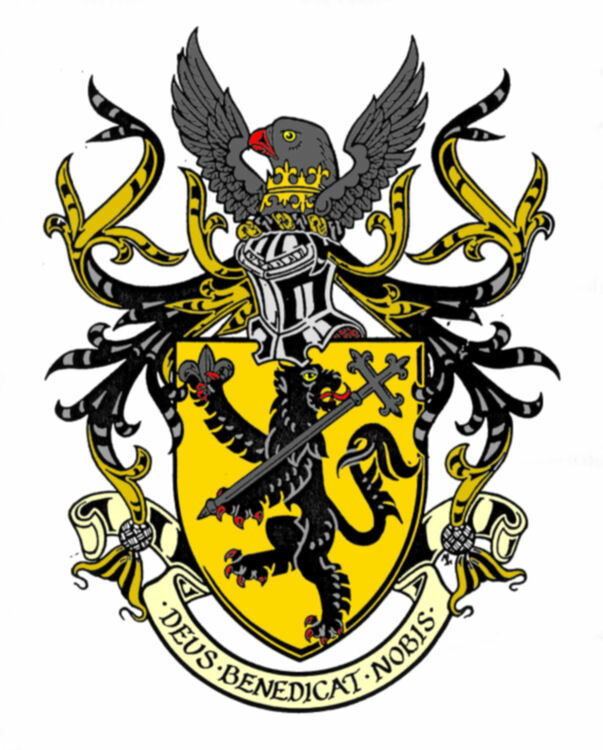 Crest: A hawk couped proper gorged with a bar gemel flory counter flory Or between 2 wings elevated & displayed gold. These arms are based on those of Pryse of Gogerddan in direct descent from Gwaethfod Fawr, Lord of Cardigan and Cribwyr circa 11th century, and Hawkins of Rushall, Staffordshire as per Dugdale's Visitation of 1583.